Kim Seong ri will release promotion plan for mini album 'First, Love' on April 15. According to the promotion plan, Kim Seong ri will introduce a variety of contents including concept photos on the 5th, track list on the 8th, album preview on the 10th, and video teaser with videos of songs from the 12th album. 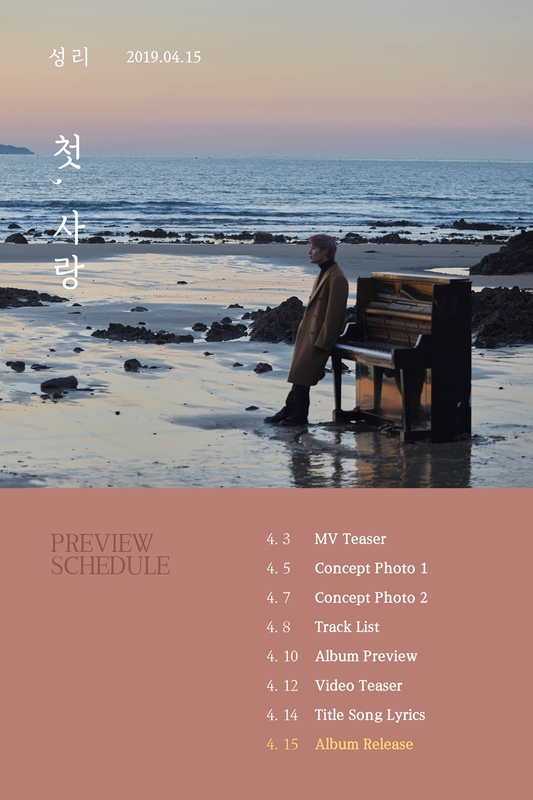 Especially, the image in the schedule also features Kim Seong ri, he is with the piano against the backdrop of the sea, adding to the curiosity about her performance as a solo artist. Kim Seong ri is stepping up preparations for his comeback, will release "First, Love" through various music websites at noon this coming 15.